At the HSS forum a mom explained how she took the math manipulatives down from the bedroom closet shelf. She sorted the goodies into baskets, shelves and drawers, all accessible to the children. Wonderful! The fun math tools aren’t helping anyone on a bedroom shelf. That started me thinking about the hands-on things we have. Are they really free? Does Sprite know they are free to be used at any time? I thought the answer was an unequivocal yes. But then I remember just a few days ago she asked me where the balance scale was. I was surprised that she didn’t know it was on the shelf with the math manipulatives. Granted, that shelf is a bit crowded. Maybe too crowded to invite exploration. I mean, if you’re afraid that things will fall and crash to the floor, it inhibits your desire to poke around. When I gave her the balance scale, I was quick to put in one of those mom phrases like, “Be careful with it!” Now, why did I say that? What is it about our educational resources that makes us treat them like fine china? We ONLY pull them out a few days each school year. Then we painstakingly put them away once the lesson is done. Why not leave them out all day for exploratory play? Why aren’t they being used more than just a few days a year? To be honest, I fear that the pieces will get lost. And then I won’t have a perfect tool for homeschool. How ridiculous is that? I am trying to keep it perfect so it can sit on the shelf for the next 20 minute lesson that specifically addresses that theme (which may be months from now). I’ve got a nice collection of math manipulatives, but what good are they really doing us, sitting on the shelf? 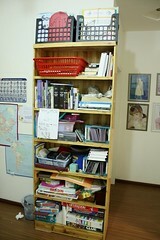 I reorganized our shelf that holds the science and math tools. Doesn’t it look better? Neat is so much more inviting, I think, than cluttered. 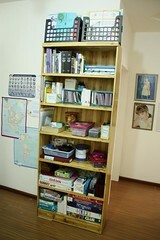 (How do shelves got so cluttered so quickly?) Here are the before and after photos. And I came up with a very thrifty way to store our graduated cylinders. I used a tissue box plus a lot of paper towel tubes and a couple of toothpaste boxes. (We keep things like that on hand for crafty projects.) 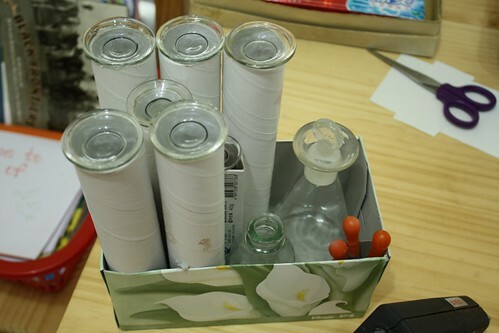 I hot-glued the tubes to each other and to the tissue box so that it’s all quite sturdy. The cylinders go into the tubes upside down. Now they are neat, protected from breaking, AND (most importantly) accessible for chemistry experimentation. The science tools are free too! Do it, Jamie! Free them! We are currently in the middle of Project Clean Out and Reorganize at our house in anticipation of all the baby gear we will be receiving or purchasing soon. 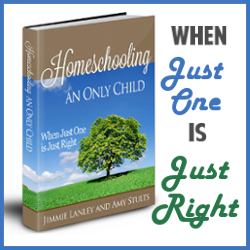 I have also been trying to tackle the homeschool gear as well. I was pretty focused on getting an exploratory science table put up, but you’ve just reminded me that I should include math there as well! .-= Julie Moses´s last blog ..Delaware Days =-. I so relate to your comment about us treating the manipulatives as fine china. That is certainly true in our home. I cannot wait until our move (2 more months!) 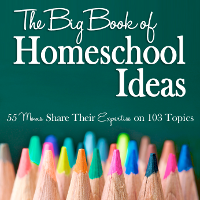 so I can set up our stations and invite my children to actually USE the resources that are in homeschool. .-= Karin Katherine´s last blog ..First Grade Curriculum Choices for 2009-2010 =-. .-= Marsha´s last blog ..Our 2009-2010 Curriculum =-. .-= Sonia´s last blog ..Covered Bridged Mini- Lapbook =-. .-= Jolanthe´s last blog ..Will You Hold Me When I’m 15? =-. I am also guilty of hording things in order to keep them perfect. Thanks for the reminder to set them free. .-= Kristen´s last blog ..To-do Tuesday =-. You are always inspiring. Thanks for keeping me thinking. Yes, I should free the balance scale and other manipulatives. Brilliant idea with the paper towel tubes! Mine are in a closed bucket, far from little fingers that might break them! Oh dear, you are right, I recently pulled the puzzles down to a reachable spot because I noticed my little one loved doing puzzles and always needed to climb on a chair to get them. They are free now but it didn’t ccur to me to free the math and science manipulatives. Thanks for the wake up call! .-= Cheryl´s last blog ..A Few Lazy Days =-. .-= Wit and Whimsy´s last blog ..In memory of my grandfather =-. 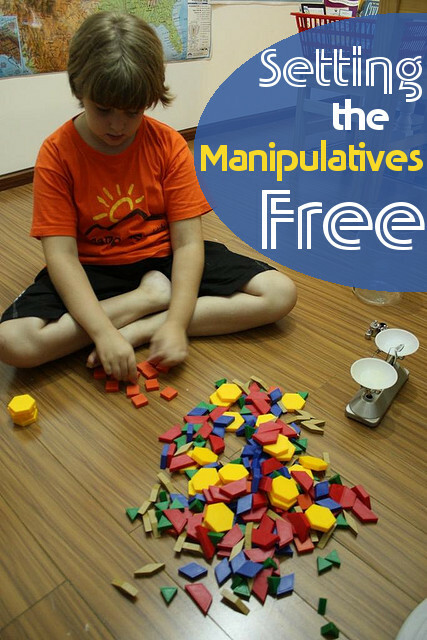 I so agree with freeing the manipulatives. Our math manips were NEVER used! (Math is my son’s least favorite subject and so, the subject most in need to hand-on methods!) Thanks for the inspiration. My 18 mos old has discovered the math manipulatives. My 6 year old, poor thing, spends all day putting them back in their containers after the baby dumps them out! I want them to be readily to the 6 year old, but it is a balancing act with the baby. 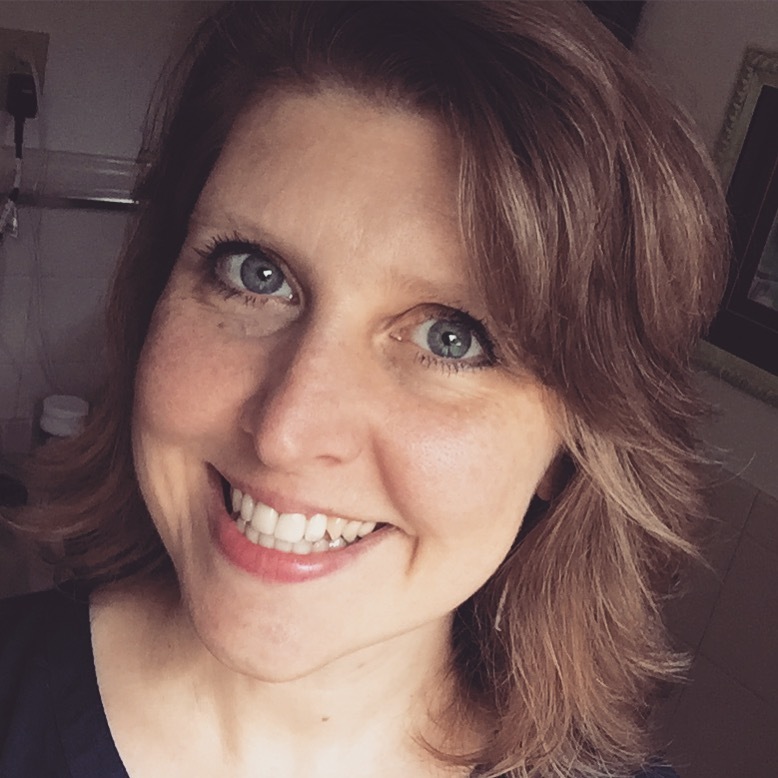 .-= Trina´s last blog ..Adventures in Narrations =-. We just moved all of our math manipulatives onto a shelf where the kids have free access to them. We found out that our preschooler can do the pattern block puzzles that go with our 2nd grader’s math curriculum! And the great part is, the kids have spent hours [honestly!] playing with the math manipulatives. Our 2nd grader is even teaching our preschooler how to tell “Some, some went away…” stories. Your ideas are inspiring . My little kid is very studious and very curious. He likes to learn new things everyday but never forget the old things that he had learn. He loves to explore manipulatives and really enjoys it a lot. This is a funny post! Our math manipulatives are on the bottom shelf for easy access, and the fun things done with them have been highly amusing. There was an epic battle between the red and yellow bears, and the pattern blocks have been everything from gardens to vehicles to castles! We use cheap, disposable, snap lid containers since they are clear, stack easily, and are replaceable if used into extinction. 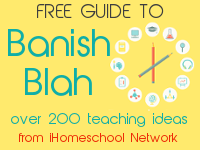 I am excited to find your website as I have heard a lot about CM in my 5+ years of homeschooling, but did not really understand it. Ha! I was this thinking about this yesterday! And I said “don’t break it or lose any pieces!”. I am scared to keep the microscope down…but what good does it do to keep it covered up? Exactly, Susann! It’s like the fine china that is safely in the cabinet but never used. What a waste.